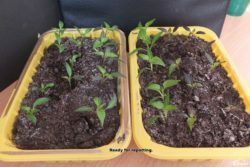 There are plenty of methods and information out there on how to do this, I’m just going to show you how I do it, it may not be the “best way ever”, it just seems to work for me, also, I’ll try to make it as general as I can, but most of my experience is with chilies and tomatoes and I’m sure it’s going to show. 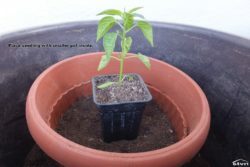 Firstly: decide what you want to grow, well, I know that you’d want to grow EVERYTHING, but just narrow it down to two or three species (or even one if you are limited by space), because different species have different needs and it’s easier to learn to care for two plant species than for four, and if you have success this year with the first two, next year you could plant four and you’d only have to learn about the two new species. 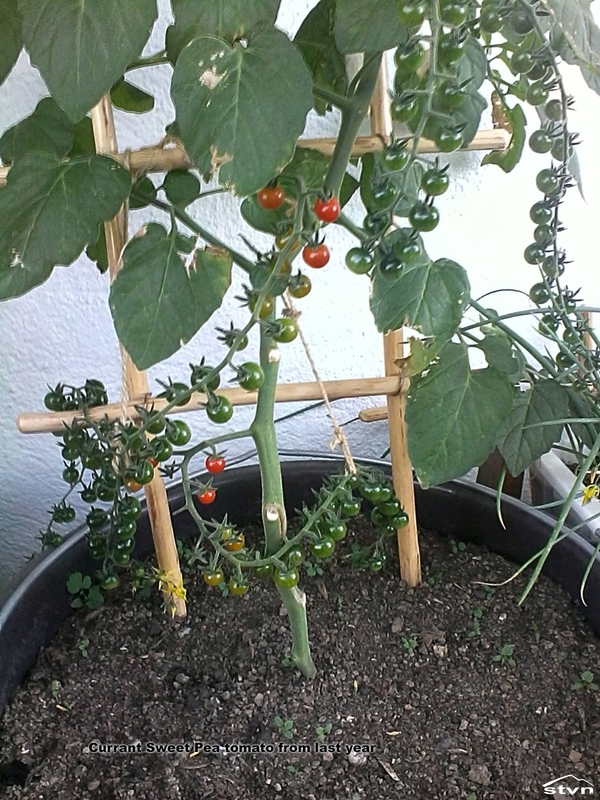 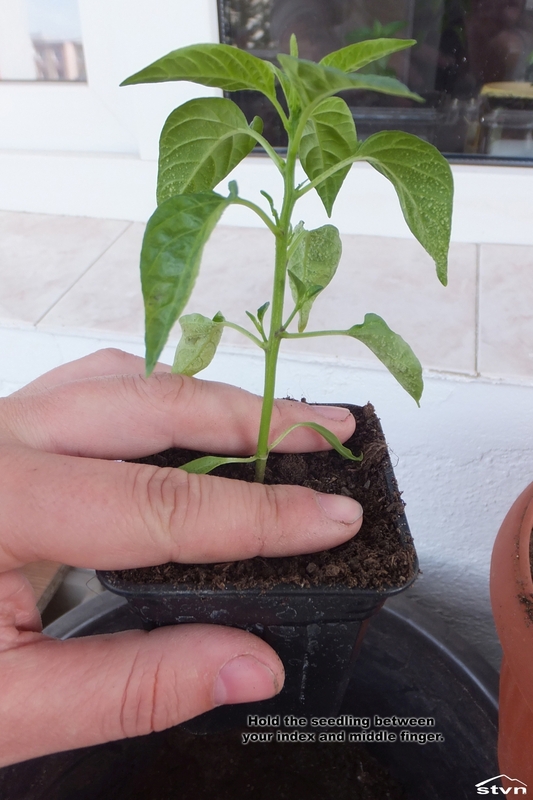 Last year I planted chilies, tomatoes, peas, lettuce and onions, this year I’m only going to plant chilies (more varieties) and tomatoes, I want to focus on making some chili hybrids and need more space for them since I only have a 6 square meters (approx. 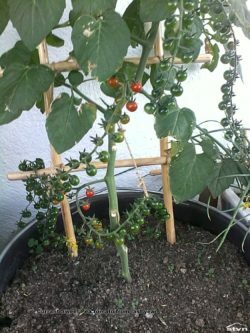 64 square feet) balcony that I can use for the “garden”. 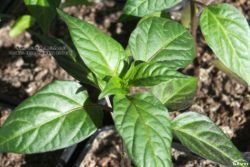 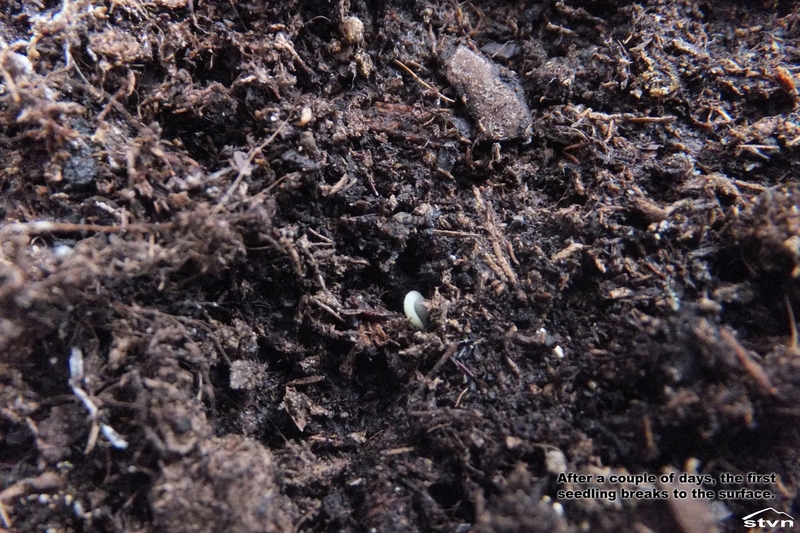 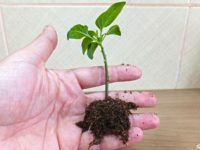 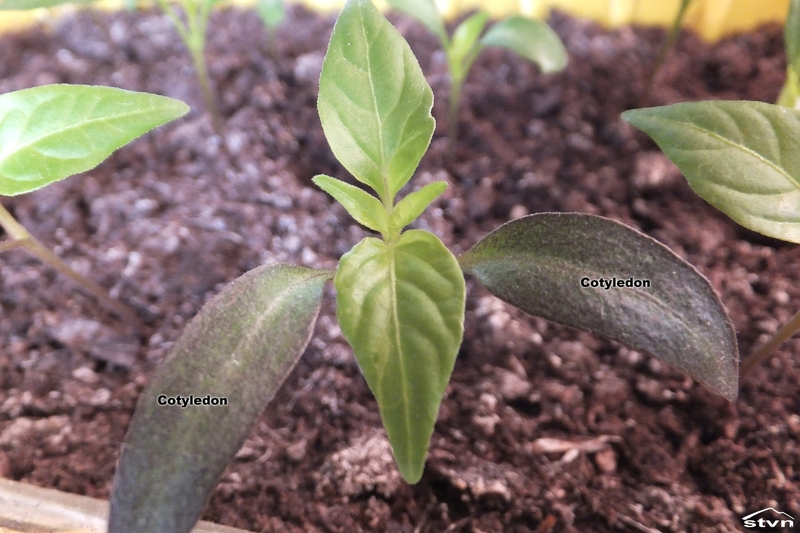 Make sure you have the seeds you want to plant at least 6 weeks before the last expected frost date in your region, as most growers recommend starting seeds indoors 4 – 6 weeks before the last frost date, I personally start chili seeds 10 weeks and tomato seeds 6 weeks earlier because, like I said, I have a very short growing season. 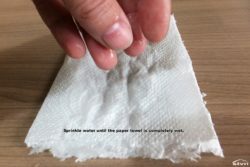 When you figure the time is right: get some paper towels, sprinkle water on them until they’re soaked then place the seeds between the towels, fold them up and place them in a ziplock bag. 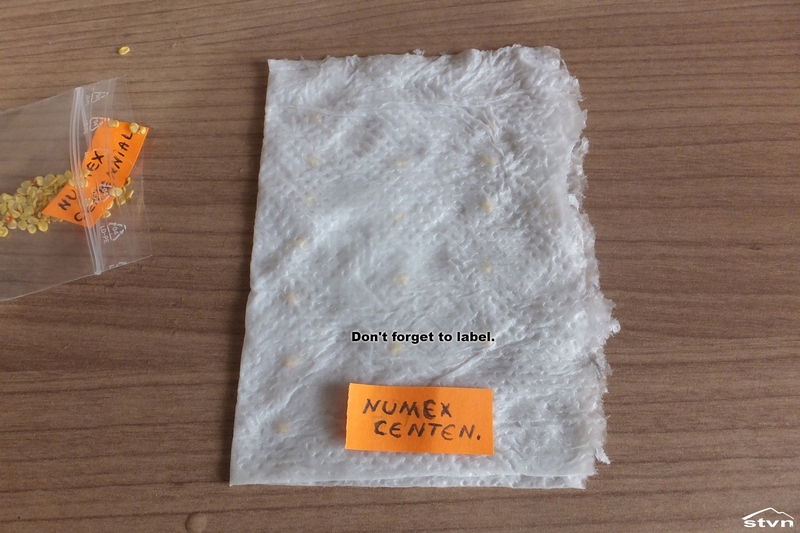 Put the bag somewhere warm (20 – 25 °C / 68 – 77 °F), on top of the cupboard is perfect if you don’t want to invest in a heat mat, then after a week or so check daily for signs of germination. Seeds will germinate faster and more uniformly if you place them in the grocery compartment of the refrigerator for few days before you put them between the wet towels. 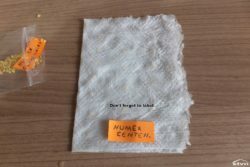 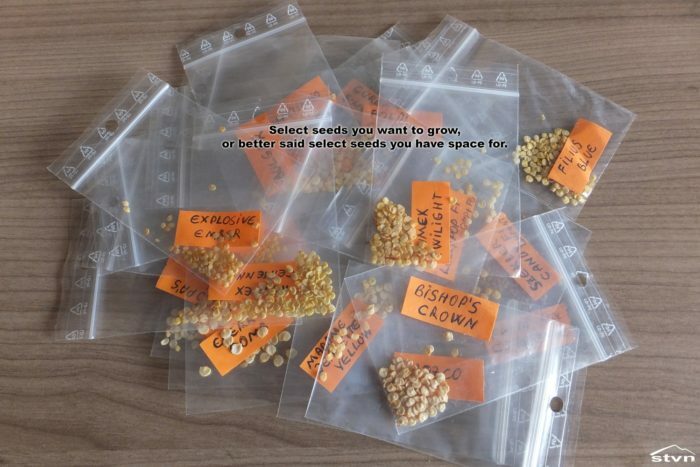 If you intend to plant more varieties I’d recommend to put the seeds in different towels or bags and label them so that later you know which is which. 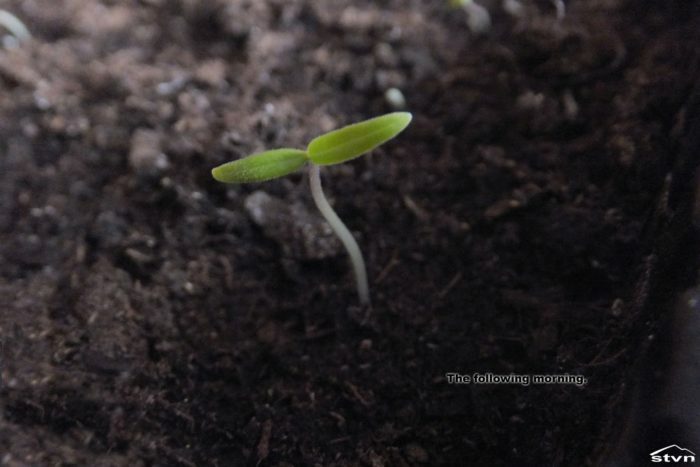 Start more seeds than the number of plants you need, some won’t germinate, some will die along the way and you can always give seedlings away if you have too many. 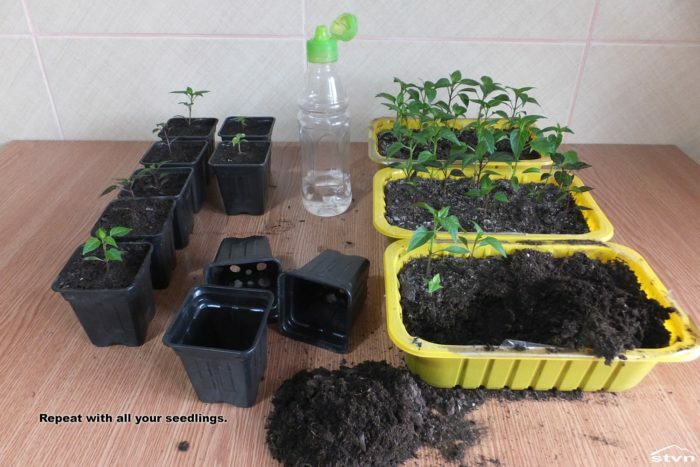 While you wait for your seeds to germinate you can prepare the seed trays, to ensure maximum viability buy a bag (or more) of sterile potting soil, don’t use soil from your garden or regular dirt at this point because your “soon to be” plants are the most vulnerable at this stage and you don’t want to loose them to diseases and/or fungi brought in from outside. 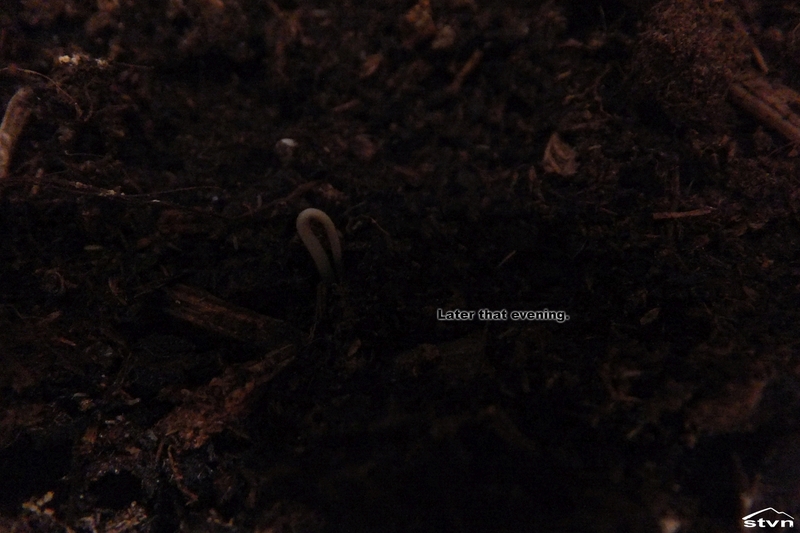 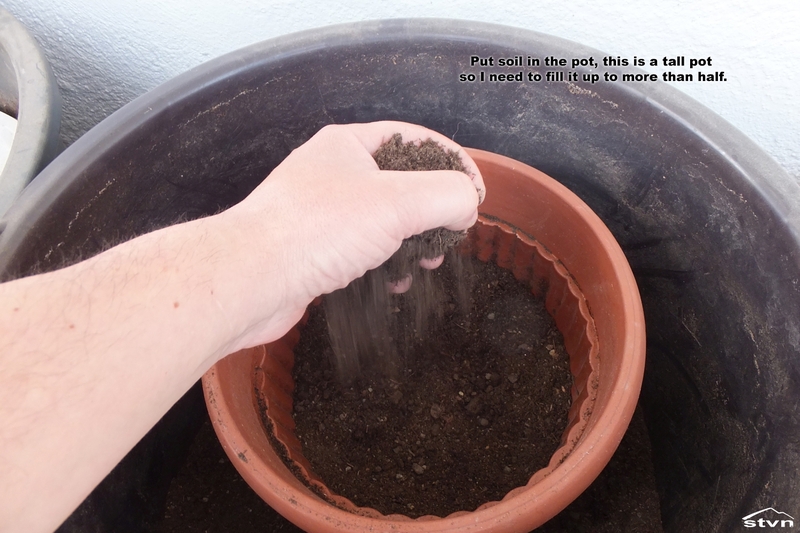 I buy a premixed potting soil that basically consists of peat moss, sand and vermiculite, plants don’t need nutrients in the soil at this stage, don’t worry about that. 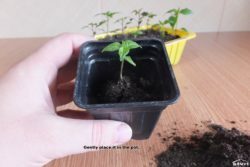 You will also need some trays to plant in, you could buy special seed trays or just use whatever you have around the house and resembles a tray, like I do, just make sure that “the thing” is at least 5 – 6 cm (2 inches) deep, put soil in them, leave 1cm or so to the brim, and water them until the soil is damp then set them aside. 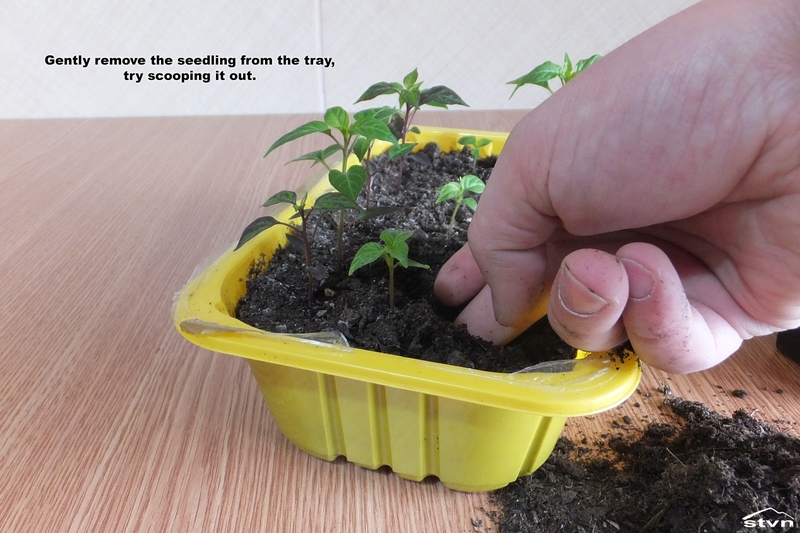 If you buy packaged meat or mushrooms save the plastic trays, they can be reused as seed trays, see pictures. 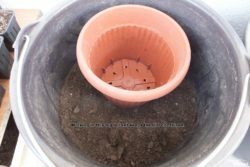 If you, for some reason, can’t or won’t buy potting soil and want to use garden soil or whatever dirt you have available, you can sterilize it by placing it in a heated oven. When your seeds start to sprout, you’ll see that the seed shell cracked and something white or greenish is sort of coming out, it’s time to transfer them to the trays. 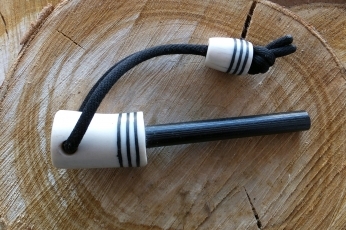 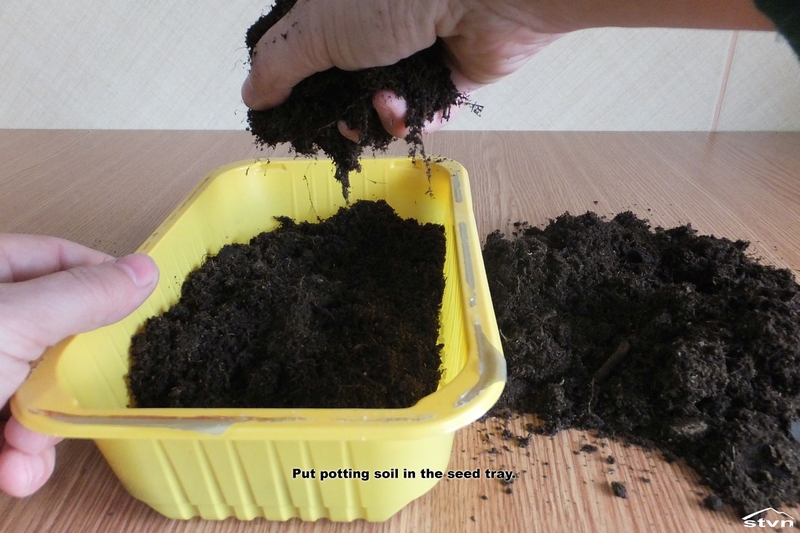 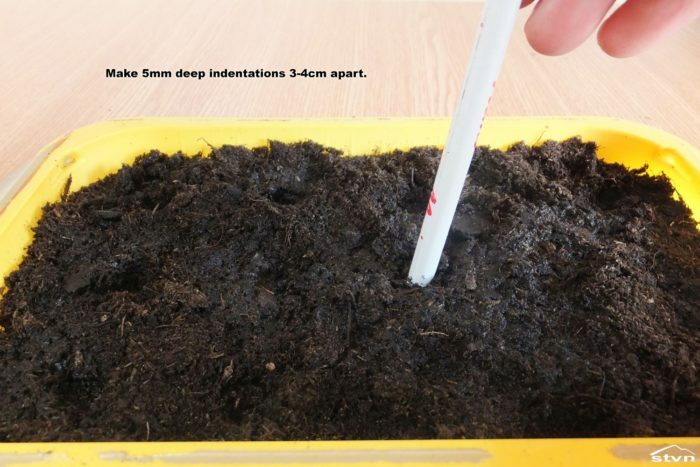 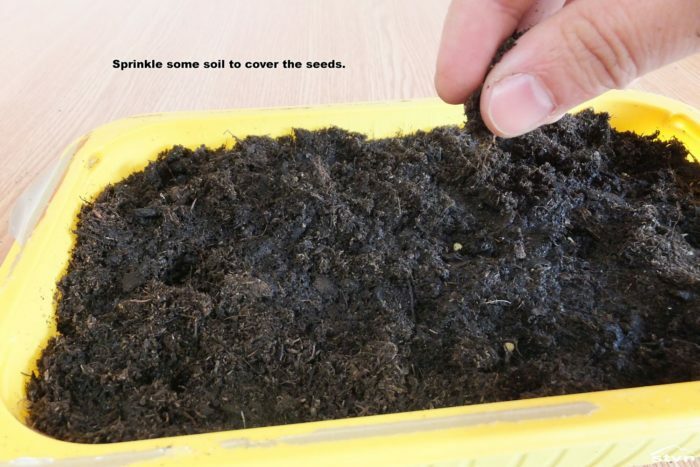 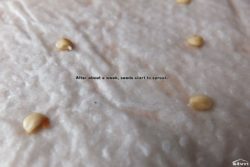 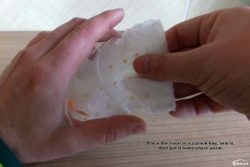 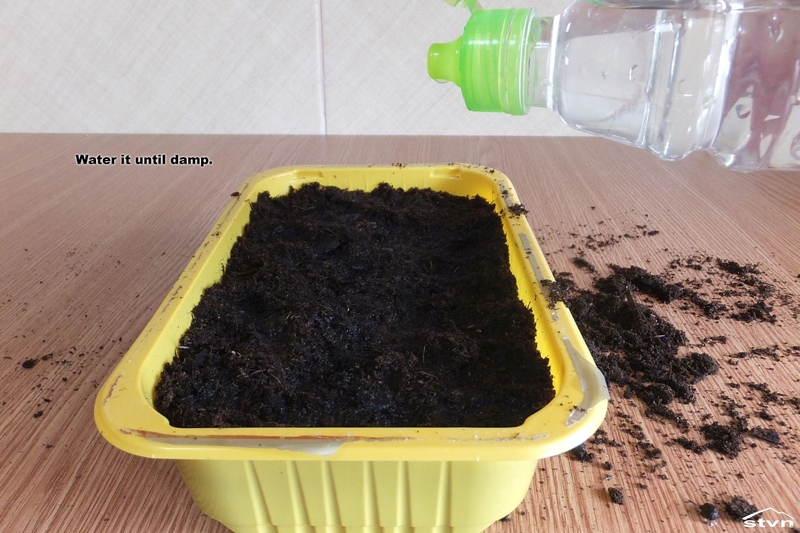 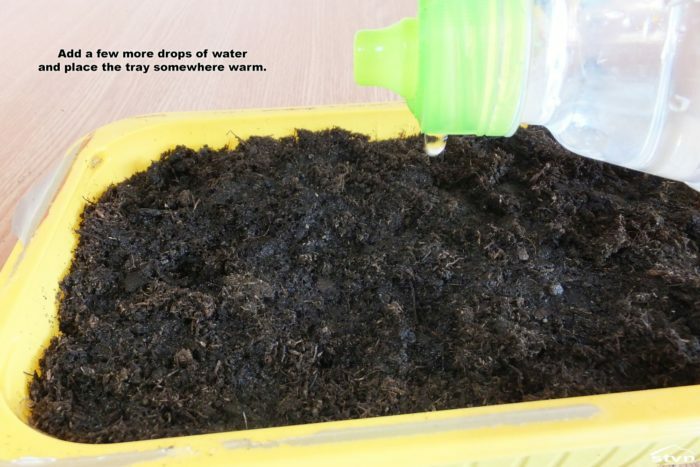 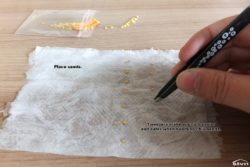 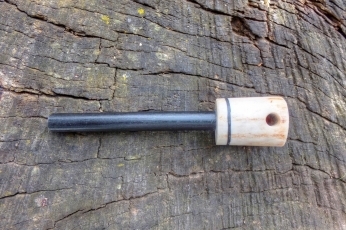 Make small 5mm (0.2 inch) deep indentations in the soil, 3 – 4cm (1.2 – 1.5 inches) apart, with your pinky, a pencil or whatever, gently grab the seed, place it in the hole, sprinkle soil over it, add a few drops of water and place the tray somewhere warm, light is not needed at this point. Using tweezers to handle the seeds makes the job easier, just avoid damaging the plant. 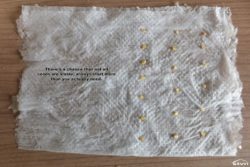 Different varieties have different germination times, and germination time may also vary from specimen to specimen, be patient, keep the towels moist and you will be rewarded. 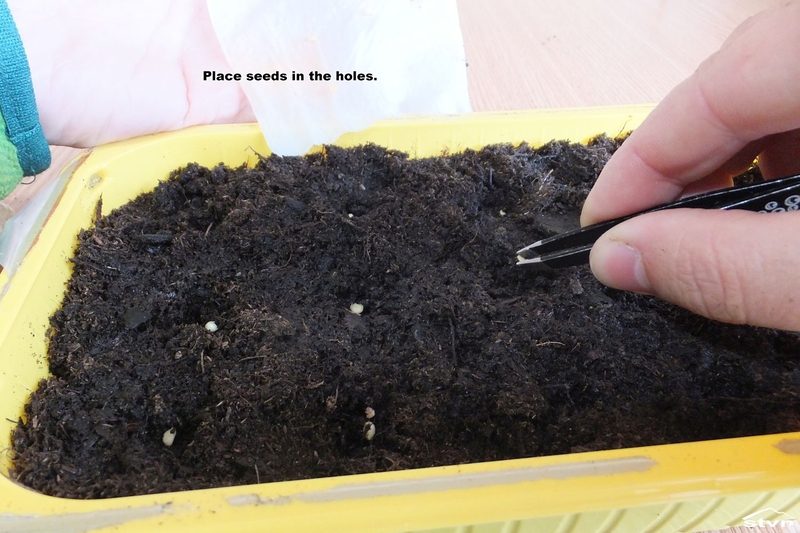 Making small holes on the bottom of the tray, with a hot nail or needle, helps drain the soil if you overwater. 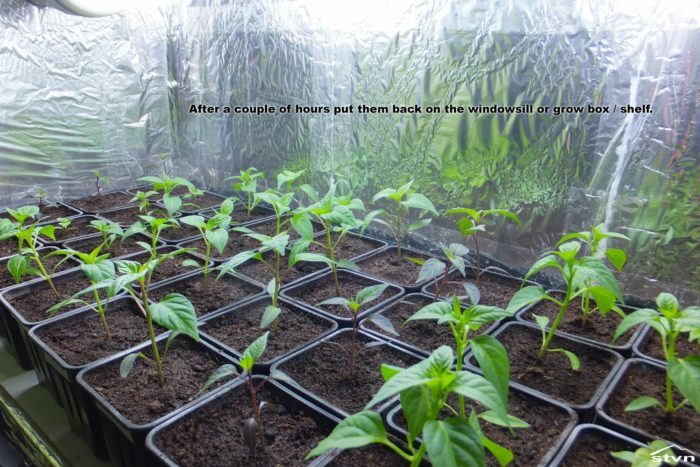 A heat mat or heated propagator might be helpful if you have the means to acquire them. 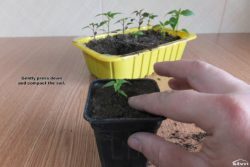 Check the trays regularly and when you see the first seedling breaking trough the soil it’s time to provide light, much of it, if you are lucky and have access to a South facing window move the trays to its sill. If the amount of heat and light a plant receives is not balanced it will grow abnormally and may later impact yield, not enough light produces weak, leggy plants, whilst not enough heat produces small, bushy plants; however it’s not unusual for plants to recover once moved outside. 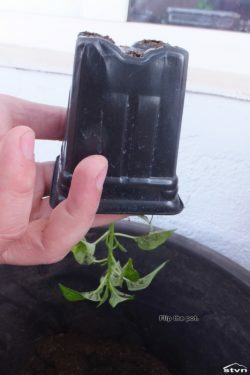 Blowing air on the seedlings with a small fan will make them sturdier and prevents fungal diseases, such as damping-off and mold. 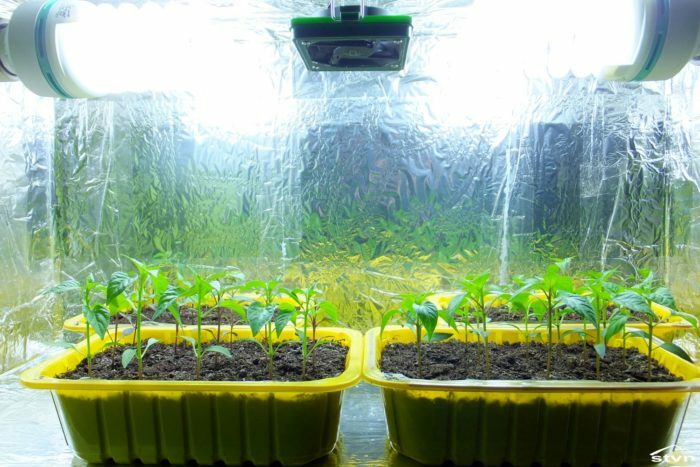 If you do not have access to a South facing window you will need to invest in some kind of lighting setup for your plants, in the pictures you can see my “grow shelf”, that’s basically a bookshelf with a couple of lights, a small fan and aluminum foil on the walls. 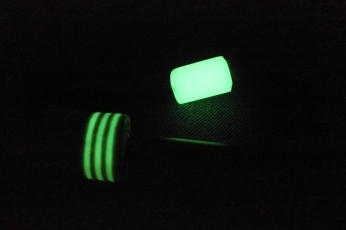 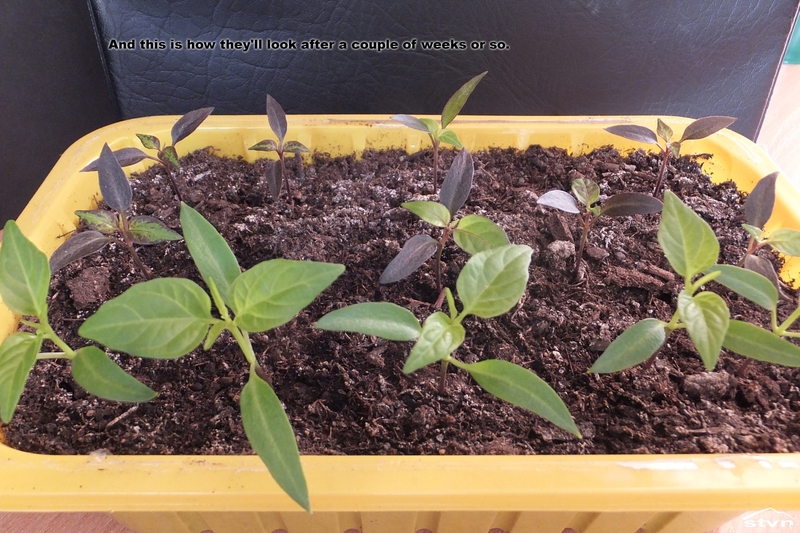 Since this setup is still experimental, I had access to a South facing window until last month, I don’t know yet how effective (or ineffective) it is, I use two 65W CFL lights; 7800 lumens in total with a kelvin rating of 6500. 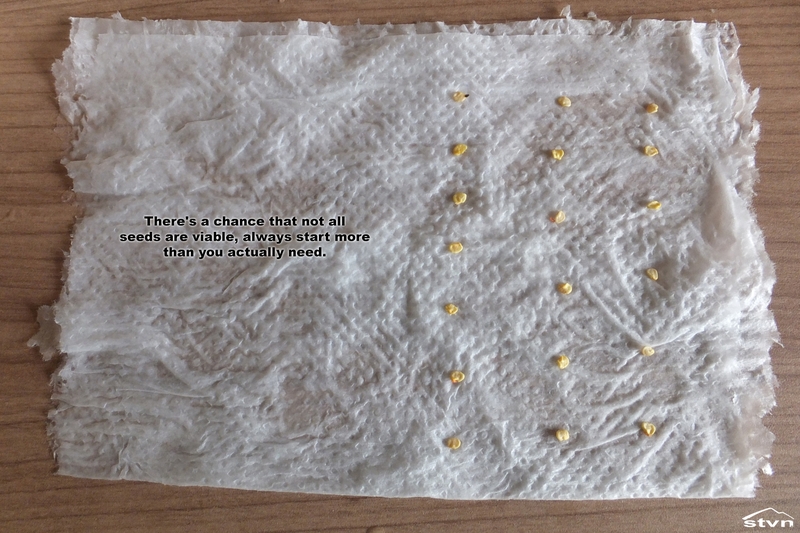 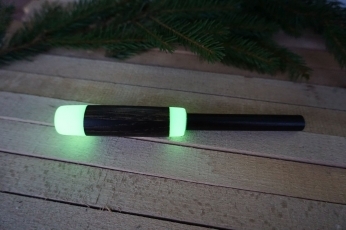 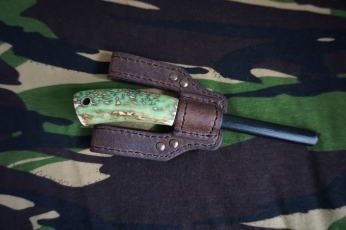 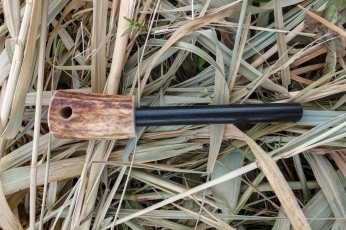 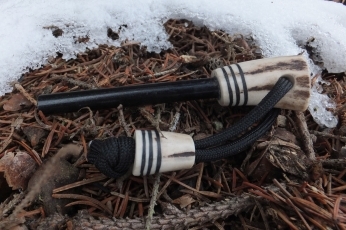 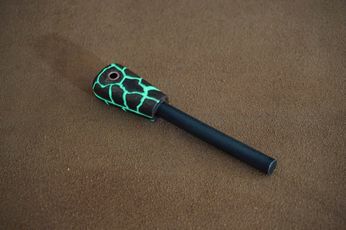 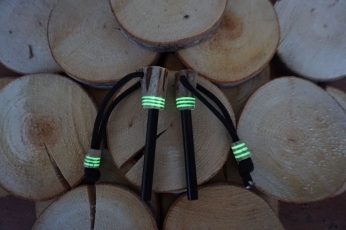 If it works out (it seems so until now), I’m going to post a detailed article about this. Researching grow light setups, watts, lumens, kelvin ratings, wavelengths, frequencies, usable light, chlorophyll A and B production, as well as spectrums on the internet is the quick and easy way of going mad. 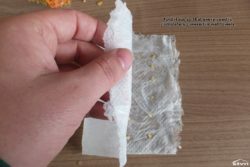 Scratching a window in a South facing concrete wall with your teeth and fingernails is way quicker than getting consistent advice from “internet experts”. 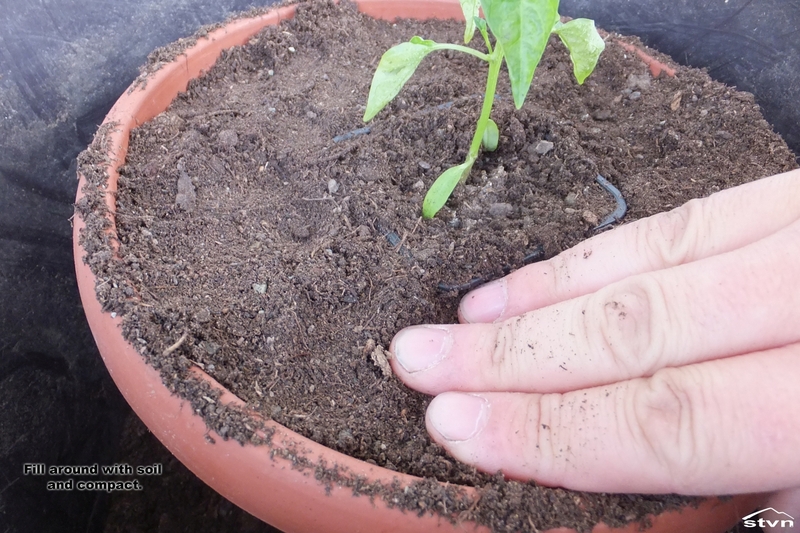 I usually move my seedlings into larger, individual pots when their leaves start to touch the neighbor’s, generally it’s recommended to repot when the plants have at least a set of true leaves, the first set of leaves that you see are cotyledons and don’t count as true leaves. 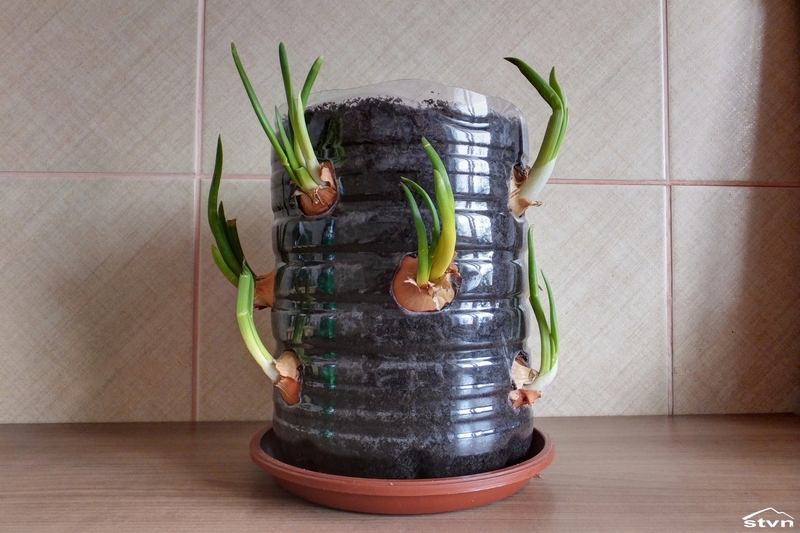 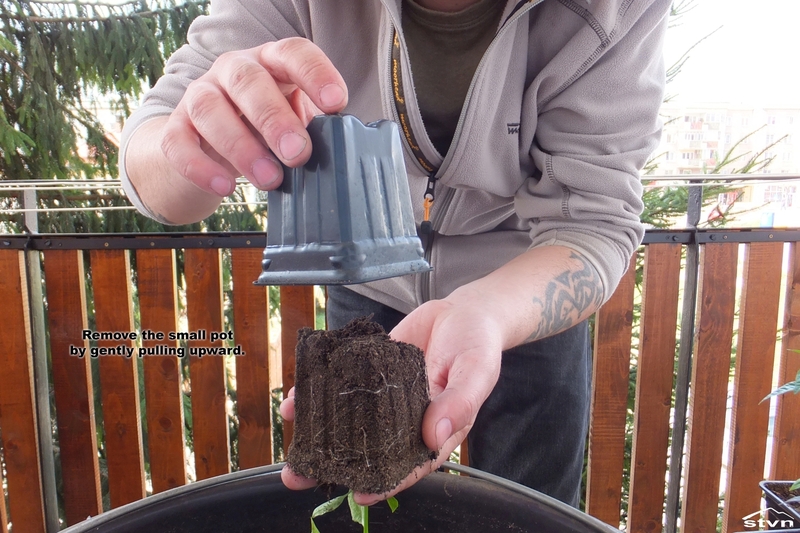 The pots I’m using are 7x7x8cm (2.7×2.7×3.1 inches), but you can use disposable coffee cups, soda bottles cut in half, whatever that holds the soil and has or you can make holes in the bottom for drainage. 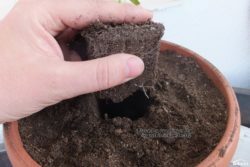 The whole idea behind repotting is to offer more space for the roots and foliage of the seedling to grow and it’s the ideal time to switch to soil with higher nutrient content like compost or potting mix; you can buy these premade or mix your own. 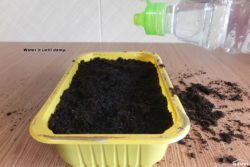 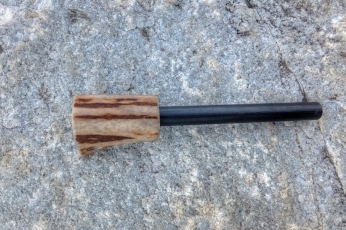 Again, I’m not telling you that you must/should use what I use, I’m just telling you what I use: 2 parts sandy soil, 1 part peat moss, 1 part forest topsoil, 1/2 part composted horse manure, a sprinkle of dolomite powder and a sprinkle of hardwood ashes. Put some soil in the pot then gently, I mean very gently, remove the seedling from the seed tray, try not to grab them or pull them by the stem or leaves, just start in a corner of the tray, remove some soil then take the clump of dirt that holds the root ball, try scooping it out, with your fingers, from below and gently place it in the pot, add some more soil, gently compress it and water it thoroughly. Repeat, then put them back on the sill or grow box / shelf. It’s easier to remove seedlings from commercial seed trays, especially those with compartments, just press the bottom and the plant pops out. 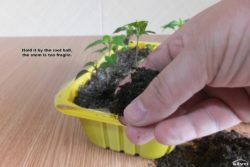 Plant the seedlings a bit deeper than they were in the seed trays, it makes them more stable and some species, like tomatoes, grow roots from the buried stem, that ultimately benefit them. 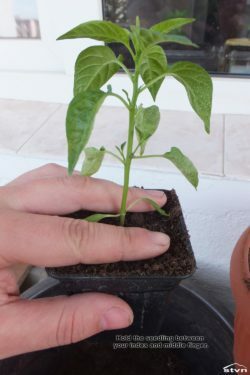 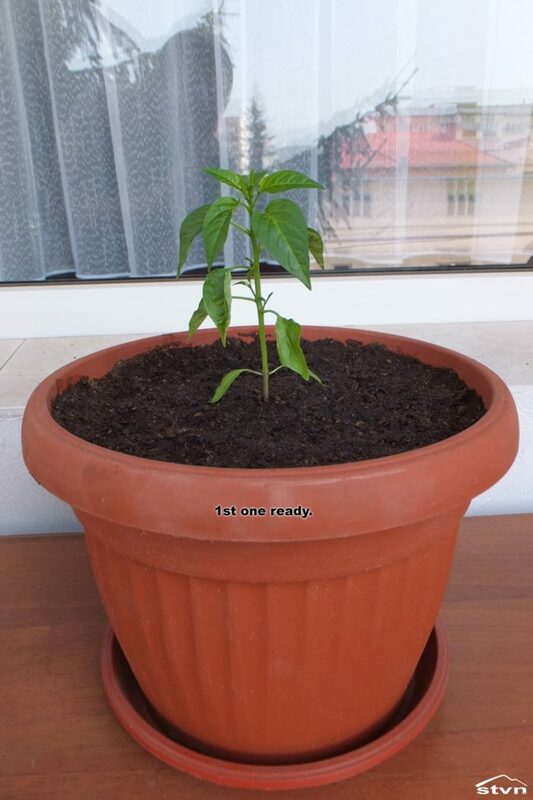 Do not place freshly repotted plants in direct sunlight, it’s best to repot in the evening; even so some plants, especially tomatoes, but sometimes chilies too, will “faint” and become limpy, it’s due to transplant shock and plants usually recover, just give them time and no direct sunlight. 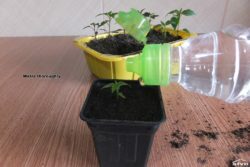 Before you move your plants outside permanently you need to harden them off, meaning that you need to gradually introduce them to the outside environment so they have time to adapt to wind, sun, temperature fluctuations, etc., this process usually takes about one to two weeks, each day when the temperature is constantly above 15 °C (60 °F) move the plants out, first day leave them out for a couple of hours, then as days go by, for longer and longer, do not leave your unhardened plants out overnight if the temperature dips below 12 °C (53 °F). 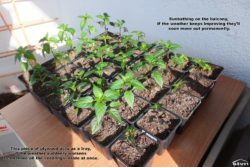 I usually move my plants in and out for at least 4 weeks from late April when the daytime temperatures climb above 15 °C to late May when the nighttime temperatures usually stay above 12 °C. By now you should have planned out the layout of your “garden”, it’s important to take into account that plants (with a few exceptions) do better in full sunlight, make sure that they won’t shade each other, put smaller plants in front of taller ones, put them on shelves above each other, etc., just make sure they get the maximum amount of sunlight they can. 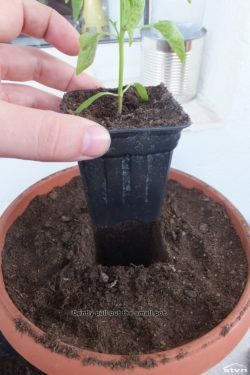 Once the plan is done and the weather is finally right, you can proceed to repot your plants one final time and move them out for the summer; for this however you will need some bigger pots, and again, I’m just going to tell you what I use: 20 L (5.2 gallon) buckets for tomatoes and 2-3 L (0.5 – 0.8 gallons) pots and planters for chilies as I prefer the small, more ornamental varieties, but even 10 L buckets wouldn’t be too big for bigger, high yield varieties. 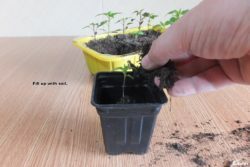 Transplanting the seedlings to their final pot is basically the same operation as in the previous step, just make sure you use the richest soil you can get, adding compost and/or vermicompost is highly recommended. 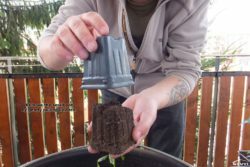 The bigger the pot, the bigger the root system; the bigger the root system, the bigger and healthier the plant is, and of course, the bigger and healthier the plant is, so is the yield. If you use big containers for growing, put the pot in it’s designated place while empty, then do the repotting there on the spot, so you don’t have to break your back moving around and lifting buckets of dirt. 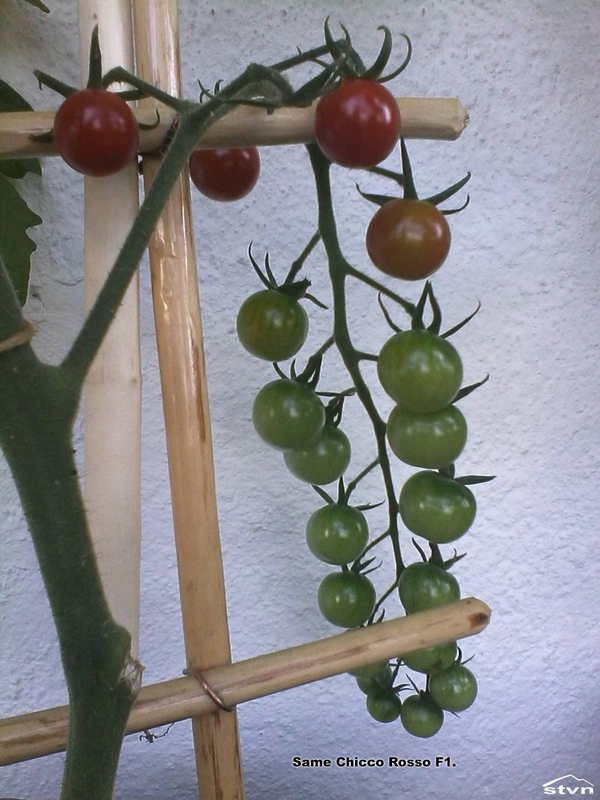 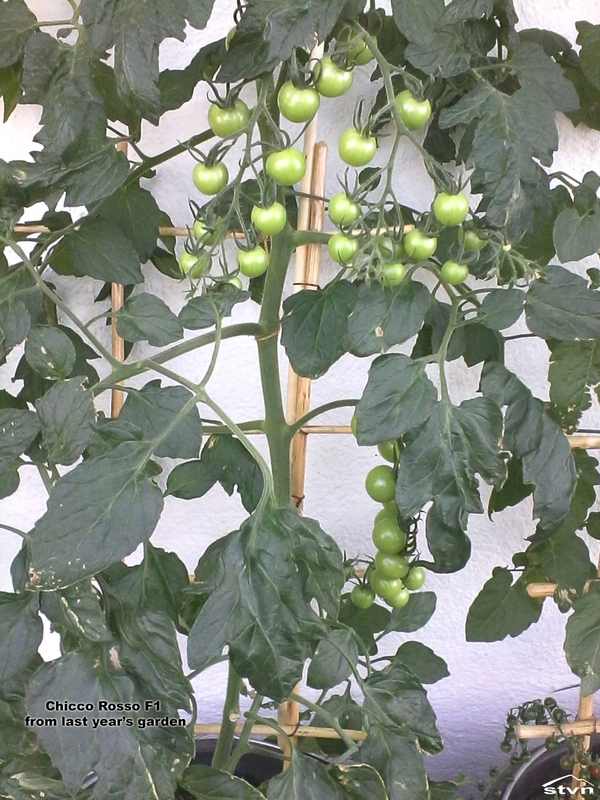 Tomatoes like even watering, water them more frequently with smaller amounts of water. Chilies like the soil to dry out between waterings, water them rarely but thoroughly. Always try to water in the morning, avoid watering plants in full sunlight. 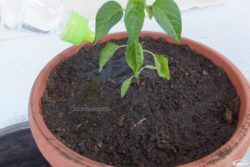 If you get water on the plants leaves then the sun hits them, the droplets will act as magnifying glasses focusing the light and heat, burning your plants leaves. Don’t water with cold water, it will shock your plants. 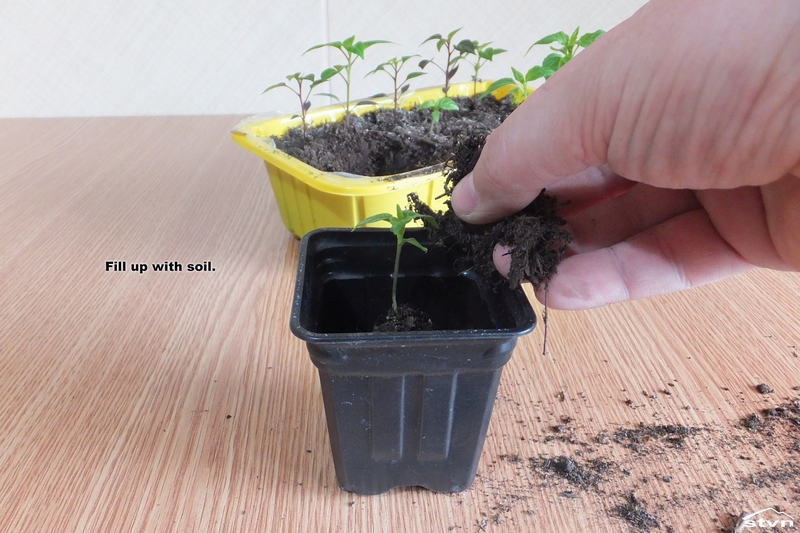 If you use big containers and rich soil you don’t need to feed your plants the first year. 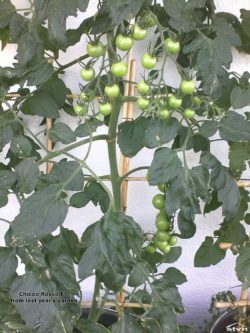 Commercial fertilizers are tempting, but remember, the whole purpose is to grow healthy food, it’s not a competition, you don’t need to have the highest yield, the biggest tomatoes, etc. 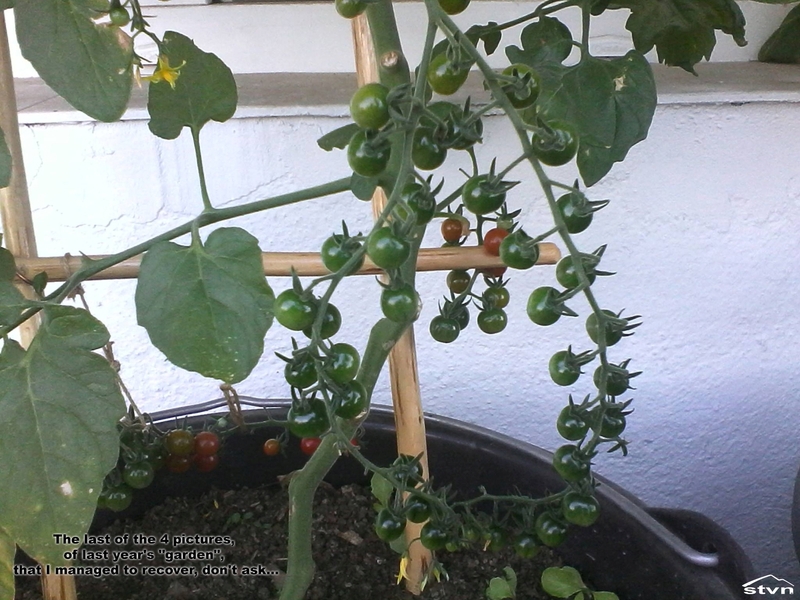 and you surely don’t need to grow store quality vegetables, you can buy that cheaper than you can produce it. After flowering, plants need pollination for fruit production, usually this is done by bees and other insects, but if you have your balcony higher than the 1st floor there are chances that pollinators won’t find your garden and you will have to assume the role of the pollinator. 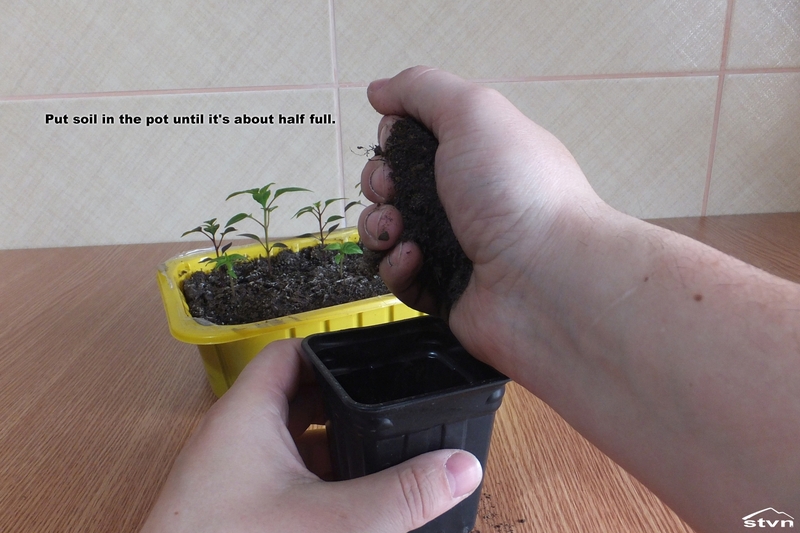 No big deal: just grab the pot and give it a good shake so that the leaves and flowers rattle, make sure to do this every day as long as there are flowers on the plant. 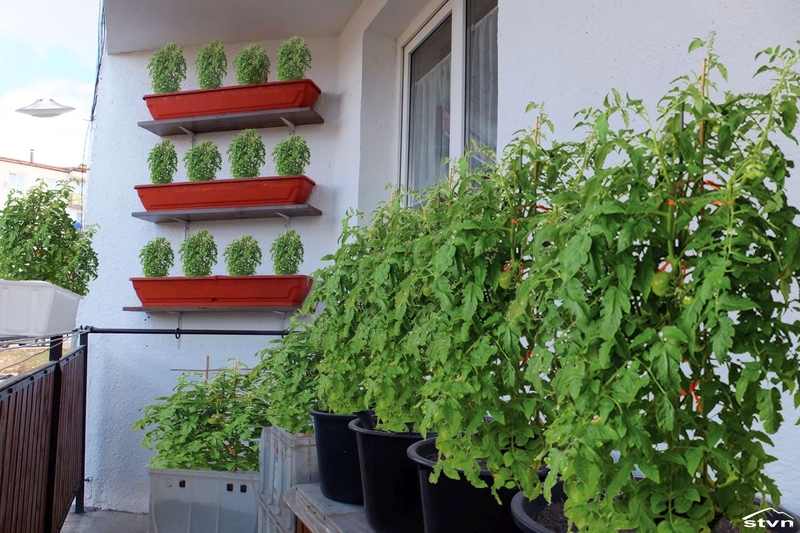 More experienced urban gardeners please post your own tips in the comments and I’d also really like to see some pictures of your balcony gardens, please don’t be shy, upload your photos. 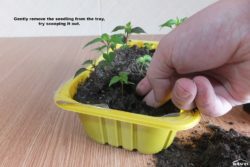 You may copy this article as long as you link back to this page (https://stvn.eu/starting-a-balcony-garden/) or the frontpage (https://stvn.eu).